I currently have three pairs of running shoes on the go at the moment. I don’t normally have more than two pairs but spotted the New Balance shoes for sale at a factory outlet in Keswick. 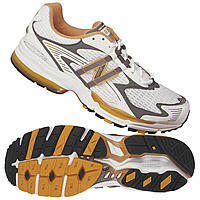 I have to say for comfort and fit the New Balance shoes are the best of the three. They are the pair I would choose to use for any races I enter. However they are not great of road and i didn’t expect them to be from the tread on the soles. 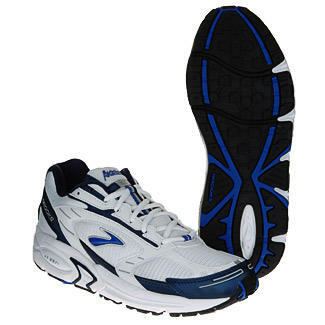 The Brooks Addiction 6 shoes get my vote for being the most durable particularly on the outer soles where I tend to wear out my shoes quickest. I have had previous addiction shoes and I would buy this model again . The Saucony Trigon shoes are a bit of a mystery to me as I bought them a while back and I must have shoved them away and forgot all about them for 6 months. I can’t understand where they have been but anyway I spotted them when I was having a clear out and almost chucked thinking they were an old pair.. These have great tread for off road and I am likely to use these a lot over the fields this winter. When I buy shoes I am always happy to buy last years models I never buy the latest shoe at the top price. Perhaps I am missing out on something as I suppose you do get what you pay for generally. When the running shoe reviews come out in Runners World I look but don’t usually buy. It generally comes down to what is available from mail order outlets. I have bought from Wiggle, Bourne Sports and Sports Shoes Unlimited and all have offered good service. I don’t particularly care about the colour of running shoes they soon get dirty. I always consider durability and brand to be chief qualities that I consider when buying.